When it comes to the threat of ballistics attacks, terror or otherwise, buildings here in KC cannot be too prepared. So, if you own, run, or manage a commercial space here in Kansas City, whether it be a retail store, bank, arena church or school, there really is no such thing too safe. Why? Because these places, are targeted time and time again for more than just petty crimes but ballistics and bomb attacks. The reason public spaces here in Kansas City and across the country are targeted is simply that they have a lot of people in them and are easy to gain access to. Also, they are difficult to properly monitor and protect. For these reasons, public commercial buildings one of the best protections an owner, property manager or government official can use to keep their spaces safe are–high-tech safety and security film paired with the incredible potent C-bond adhesive. While it may not seem like a thin film will do much-– security window film, in coordination with an amazing specialty adhesive called C-Bond, and safety frames, are an amazing defense against bullets and bombs and therefore intruders. Let’s take a closer look at C-bond adhesive and how it will work to keep Kansas City structures safe. C-bond patented technology is an amazing technology birthed from years of research in nanotechnology. This type of engineering, the manipulation of atoms and molecules, has made incredible advancements in security technology. A Water-based and non-toxic, this glass reinforcing adhesive actually changes the properties of glass to make it stronger and more flexibility. When used in adhered security films to glass–it is one of the best bullet and bomb protections money can buy. 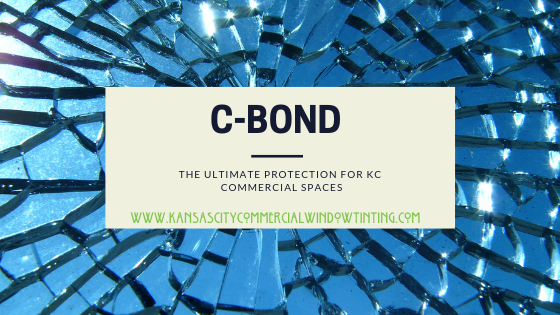 How Does C-bond Work To Protect Kansas City Commercial Spaces? 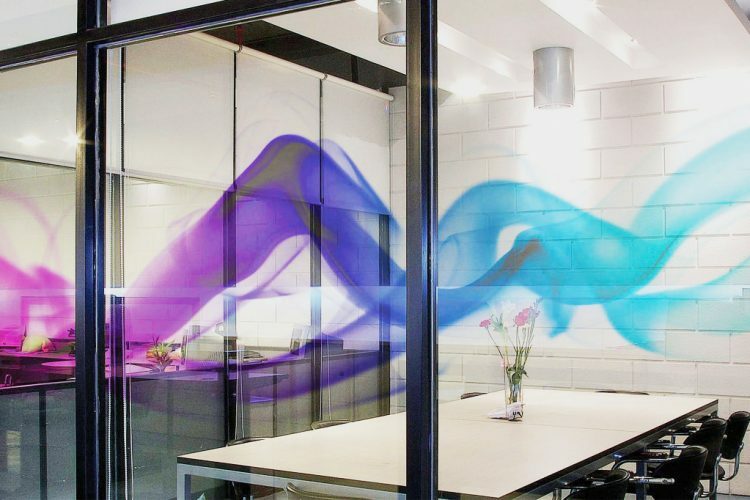 The unique properties of C-Bond adhesive allow glass to dissipate the energy from a projectile across the surface, on the molecular level. The result is–while a bullet or bomb blast will shatter the glass of a window–the security films treated with C-bond will keep glass fragments in place. 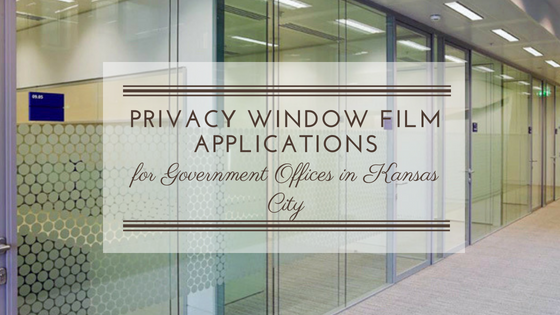 This means glass stays attached to the film in the window– where it cannot hurt or kill bystanders Beyond this, when an intruder tries to breach the windows on your Kansas City property, they will have to work extra hard and use significantly more time to actually get through glass. Watch the video below to get a better understanding of how windows with C-bond perform. The Power of Cbond Security Film Adhesive from KC Commercial Window Tinting on Vimeo. Here at Kansas City Commercial Window Tinting, we have years of experience installing safety and security film installation paired with the powerful C-bond adhesives and specialty security framing. 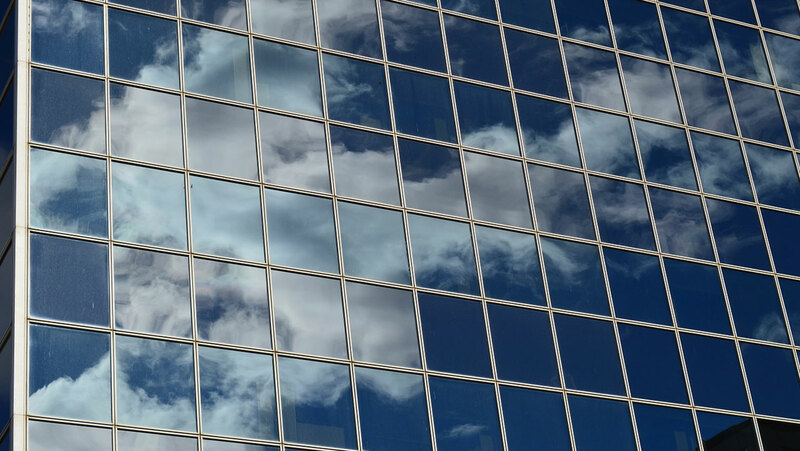 We have installed thousands of feet of high-performance security window films and will come to you to assess your commercial space as well–churches, schools, government buildings or any other type of building. Contact us today to schedule a free onsite evaluation! 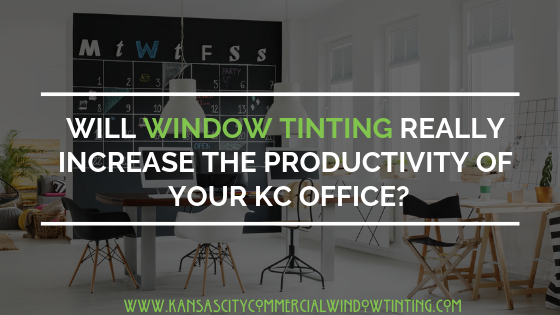 Kansas City Commercial Window Tinting provides the highest quality residential and commercial window film design and installation services to clients throughout the United States and across the world. Contact us today to schedule your free consultation.